Updating your Nvidia drivers is a very easy to do task that may seem a bit complicated for some but I will try to explain it as easily as I can for you. I have been using this method for a long time now and have never had issues with my driver installs because of it. I use a method of uninstalling drivers with a cleaner that will remove a lot of the left over remnants that may cause issues with a new driver install. Lastly, we will do a custom driver install that will only install the components that you will be using, and not any of the extra stuff that you won’t need. Please download the version with the highest version number on the page and that will be the latest version of DDU. While you are on Guru3D take a look around as it is a nice place that hosts a lot of great downloads like MSI Afterburner, a graphics card overclocking app that also does so much more. When you get to the page from the link you will see a form like this. You will need to fill in the form with your model of graphics card and operating system. Product series is the series family of your card, there is also mobile cards to select from as well. I would also recommend selecting “all” from the Recommended/Beta selection as with beta drivers there can usually be some decent fixes for games. After you search you will see a list, and the latest driver will always be at the top of the list. If in doubt just look at the date and get the one that came out last. You can expand the + next to each driver release to see the highlights to see if it has something that you know that you will want to upgrade for. 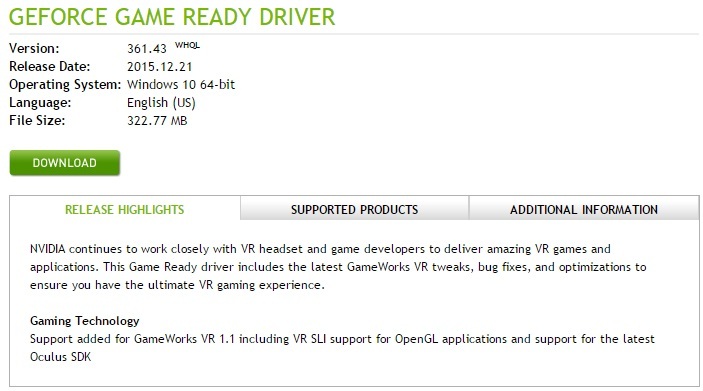 When you are ready click on the driver name that you want to download. 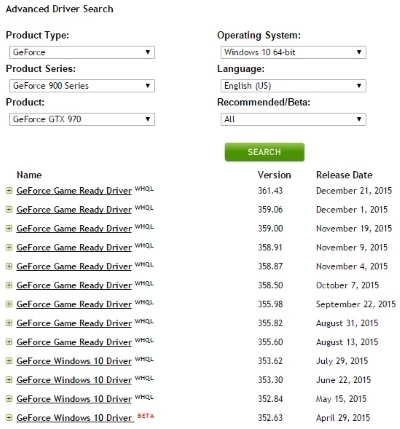 You will get to this page that shows the release highlights again as well as all the hardware that the driver will work with. You will want to download the file and save it to a location that you are familiar with. Usually, it should save in “Downloads” but you will get to decide where it goes.